Can you imagine a Roman republican, reborn, walking the streets of Philadelphia in 1776? Or how about Lexington in 1775? Or perhaps Boston in 1765? What would he think of the American fondness for Rome and her republicanism? What would the Americans think of him? I am guessing that an American republican would be much more tolerant of a Roman republican walking in his midst than what an American republican surveying any of the roads that led to Rome might find in the ancient world. We all know what happened when Mark Twain sent Hank Morgan back—not a pretty sight, despite some intermittent humor. Without access to a time machine, no such journey is possible in reality. But, it exists fully and gloriously in the imagination. In the imagination, we can envision flourishing, fascination, and dialogue. In particular, I would love to see a conversation—perhaps over a coffee in a Boston shop—between any one of the great Roman republicans and any one of the great American republicans. Temporal forces might separate them, but not the intellect, the will, or the soul. The ideas and character of four Romans hung over the American founding generation as a pantheon of republican demigods. The three most important of the four were Cicero, Virgil, and Tacitus. Each, not surprisingly, came at the end of the republic and the beginning of the empire, and each idealized what had come before, preserving it as an ideal in memory and myth. The fourth, though, served a vital role in the American founding as well. He shaped it with an understanding of the past–not just of Rome’s past, but of the cycles of time itself. Titus Livius of Padua, known better as Livy, came into this world sometime between 64 and 59 BC. We do not know exactly when: He exited the world in 17 AD, though—a fairly long life, and a life that accomplished much. Throughout his adult life, he wrote and recorded what he could of the history of Rome. Though he wrote 142 long chapters of his History of Early Rome, only thirty-five of these have survived the cruelty of time. If Americans of the twenty-first century remember Livy at all, it is for his description of the tale of Cincinnatus, a republican dictator, and a republican freeholder who threw his sword down in disgust, picked up his plough, and departed for the farm. Whether real or mythical, the story and example of Cincinnatus profoundly shaped the ideas and the character of the greatest American who ever lived, George Washington. The subjects to which I would ask each of my readers to devote his earnest attention are these—the life and morals of the community; the men and the qualities by which through domestic policy and foreign war dominion was won and extended. Then as the standard of morality gradually lowers, let him follow the decay of the national character, observing how at first it slowly sinks, then slips downward more and more rapidly, and finally begins to plunge into headlong ruin, until he reaches these days, in which we can bear neither our diseases nor their remedies. We shun the study of our ancestors in this modern and postmodern whirligig, for they were better than we. However painful we find our own decline to be, Livy insisted we must force ourselves to confront our past, its greatness, and its falls. We must find the examples of the good and the ill, the beautiful and the ugly, the true and the false. There is this exceptionally beneficial and fruitful advantage to be derived from the study of the past, that you see, set in the clear light of historical truth, examples of every possible type. From these you may select for yourself and your country what to imitate, and also what, as being mischievous in its inception and disastrous in its issues, you are to avoid. Unless, however, I am misled by affection for my undertaking, there has never existed any commonwealth greater in power, with a purer morality, or more fertile in good examples; or any state in which avarice and luxury have been so late in making their inroads, or poverty and frugality so highly and continuously honoured, showing so clearly that the less wealth men possessed the less they coveted. In these latter years wealth has brought avarice in its train, and the unlimited command of pleasure has created in men a passion for ruining themselves and everything else through self-indulgence and licentiousness. But criticisms which will be unwelcome, even when perhaps necessary, must not appear in the commencement at all events of this extensive work. We should much prefer to start with favourable omens, and if we could have adopted the poets’ custom, it would have been much pleasanter to commence with prayers and supplications to gods and goddesses that they would grant a favourable and successful issue to the great task before us. A fundamental aspect of a republic—as Livy so clearly demonstrated—is that it must inevitably fall. If a republican enters into a republic believing it will last forever, he has already arrogated to himself a certainty that even the gods do not possess. In other words, a republican must admit, however painfully, that even the greatest of societies and governments will decay. The question is not whether it will happen, but when it will happen. Perhaps a republic might last a generation, or a century, or a millennium. But it will fall; this much is certain. How to prevent its corruption, then, is the task of all thinkers and women and men of good will. 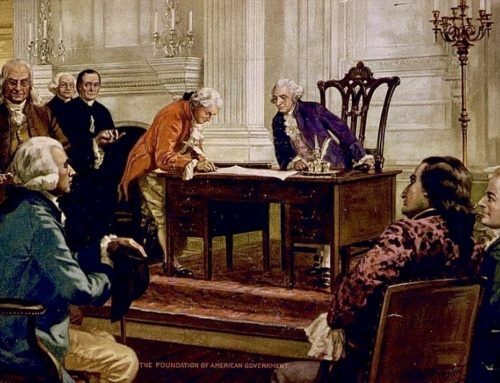 As historian Gordon Wood has correctly argued, not a single serious member of the founding generation believed the American republic was alive and well by the time of his or her individual death. Each thought the republic had already become a thing of the past. Alexis de Tocqueville, of course, confirmed this in his masterful Democracy in America, noting the pervasiveness of Demos, the fetish with the greater good, and energy for the sake of energy having replaced the desire and drive for excellence, the common good, and the fundamental need for intellectual reflection. Among the founding generation, three persons attempted to solidify the meaning of the moment and era through writing and lecturing. 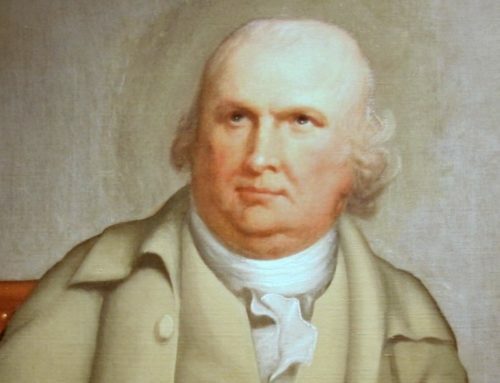 In 1789, southerner David Ramsey published the very first history of the American Revolution. Not surprisingly, it attempted to place the South at the heart of the Revolution. A year later, Scot-turned-Pennsylvanian James Wilson, gave two semesters worth of lectures on the philosophical and legal underpinnings of the era at what is now the University of Pennsylvania. Though stunning, Wilson’s lectures seem rather abstract. Finally, in 1805, New Englander Mercy Otis Warren published her multivolume history of the war and the movement toward independence. 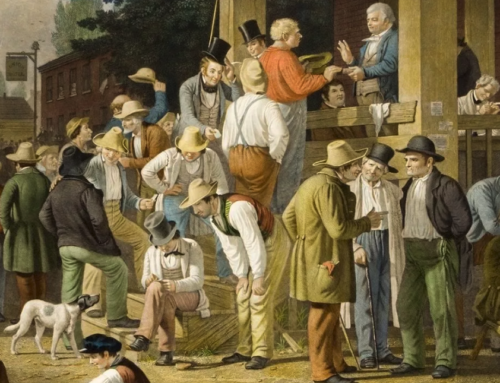 Though a Brahmin of a sort, Warren did much to avoid the regional patriotism of Ramsey. In sum, she succeeded, writing a much more American history than a regional history of America. Her model, not surprisingly, turned out to be Livy. Just as Livy had with the Roman republic, Warren chastised the Americans of 1805 for having fallen and having failed to live up to the fortitude and brilliance of their mothers and fathers. She has in great measure lost her simplicity of manners, and those ideas of mediocrity which are generally the parent of content; the Americans are already in too many instances hankering after the sudden accumulation of wealth, and the proud distinctions of fortune and title. They have too far lost that general sense of moral obligation, formerly felt by all classes in America. If this should ever become the deplorable situation of the United States, let some unborn historian in a far distant day, detail the lapse, and hold up the contrast between a simple, virtuous, and free people, and a degenerate, servile race of beings, corrupted by wealth, effeminated by luxury, impoverished by licentiousness, and become the automatons of intoxicated ambition. If Warren thought the Republic done by 1805, how much more would she see the last embers of the Republic in the days in which we live. Nice bit of humor at the end Mr. Birzer, well done. Liberty Fund, that puts out finely made books, has published these three authors’ historical volumes and I’ve been itching to purchase them. Kevin, I believe that Warren et. al. would see the United States as long since dead. It’s now the U.S. in name only. Things like rock music, the ongoing holocaust of legalized surgical/pharmaceutical infanticide, and the elections of a miscreant like Obama are consequences–not causes–of this death. Such is the putrefaction of a dead nation. I hope that Brad’s students know how lucky they are. Ah yes, “lessons from history”. Wish I knew who said it, that the only problem with lessons from history is that we learn them too late. Kevin, Alphonsus, and Steve–thank you! Sobering, to be sure. Excellent essay; an implicit reminder that the future depends not on history, but on adherence to the teachings of the God whose existence Livy did not recognize. Brad, you have brought to us again what Mel Bradford called “A Worthy Company.” I would point out one thing about the redoubtable Mrs. Warren. She ignited a feud between herself and the even more redoubtable John Adams by accusing him of being a monarchist, thus showing that the seeds of republican destruction were there from the beginning. I would have been an anti-federalist then, and I am one now. Are things *really* this bad? And if so, what is the proper response? Apathy? Despair? Surrender to the enemy? Joining with the enemy? Is this where things are at? While I agree with you fully on the vile-ness of the Abortion Industry (which Mr. Curt Day no doubt fully supports, else he’d have been thrown out of the Left Wing movement long ago), rock music isn’t so bad. Indeed, I am presently listening to Side Two (on vinyl, no less) of Led Zeppelin’s “The Song Remains The Same”, the same rock band that featured Tolkien-esque themes on many of their songs. It must be that Virgil was less of a republican than Cicero. Virgil was closely tied to Ceasar Augustus’ regime. A terrific, and sobering, read! We still a republic, however far into late-republican times we are. And every good republican has reasons, especially in our time, to defend “democracy” at its best, as I demonstrate in an essay today about the SSM situation at present. http://www.nationalreview.com/postmodern-conservative/414132/alabama-ironies-carl-eric-scott That essay links you to important books by Pierre Manent, James Allan, Jospeph Bessette, and Wilson Carey McWilliams on the subject. NOW this is EXACTLY the type of “strong meat” I was hoping the “I.C.” would eventually begin to unfold… Thank Heavens. I am among true heart-fellows, no longer a total alien.